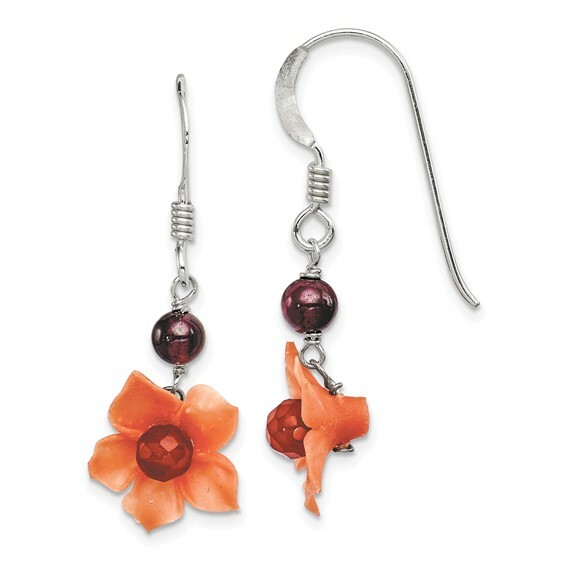 Garnet bead and carnelian dangle flower earrings are made of sterling silver. Measures 1 1/4 inches tall. Weight: 1 gram.